LQ Hotel by La Quinta Puebla Palmas is a 4.5* resort located in Cholula, Mexico. It features 186 rooms and swimming pools. 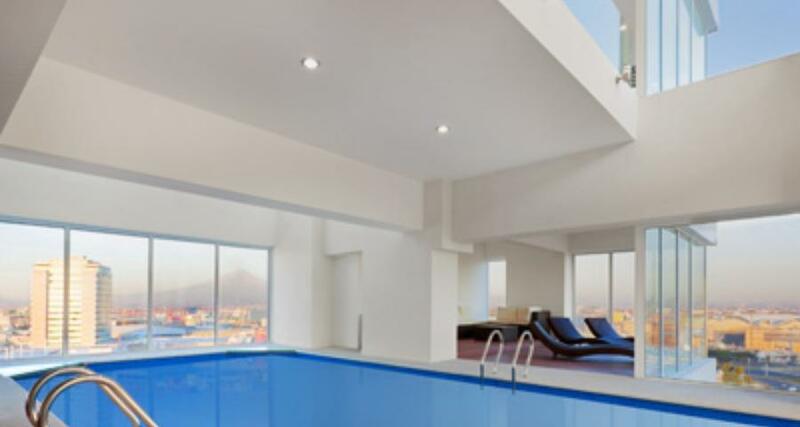 La Quinta by Wyndham Puebla Palmas Angelopolis is a modern property offering a strategic location in Puebla, close to the major shopping malls and numerous tourist attractions in the city. Complete with an eye-catching design and 186 spacious suites, this hotel is a great choice for business travelers and vacationers. On the premises you'll find a convenient array of facilities, including event rooms for private functions, a coffee shop, a restaurant serving Mediterranean cuisine, and a bar.